The 48V DSS bus I/O card V2100 is a plug-in card for VADIS mainframes and belongs to the VARIZONE product line. Via the V2100 DSS (digital speaker system) bus card, audio and control data are exchanged between the VADIS system and the DSS bus. 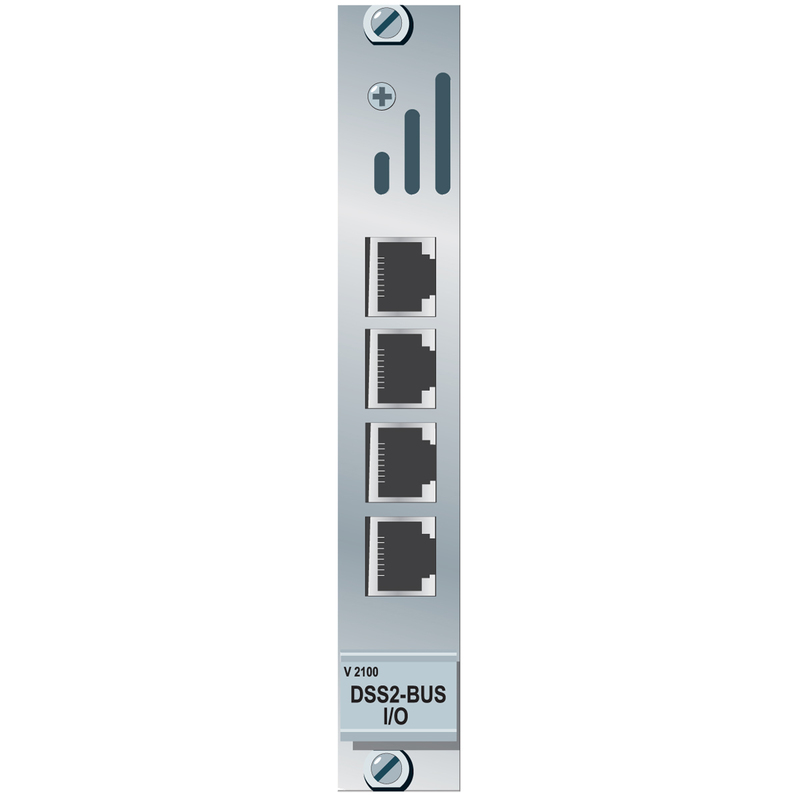 The DSS bus is a proprietary KLOTZ DIGITAL bus system for the distribution of audio and control data to and from powered modules. The DSS bus I/O card provides 4 busses. Each of these busses is connected to a line interface input. The line interface adds the power supply to the audio and control data coming from the VADIS frame and outputs the extended data via its bus outputs to the DSS bus modules. The exchange of control data is fully bidirectional. Audio data however, can only be transferred from the VADIS frame to the DSS bus.